Dusty black violet color. Earthy aromas of tar, fruit cake, and whole wheat scone with plum butter with a thick, crisp, fruity medium body and a seamless, breezy hot fudge, chocolate plombir, carob cookie, and marinated strawberry finish with light oak flavor. A dry and food-friendly red to pair with grilled meats. Bottom Line: A dry and food-friendly red to pair with grilled meats. South Africa produces more red than white wine and there are numerous varieties planted in various regions throughout the country. Bordeaux varieties such as Cabernet Sauvignon and Merlot are prevalent, while Syrah, Gamay and Carignan also pay an important part. Pinot Noir is starting to make its mark in South Africa, while the most famous red grapes in the country is Pinotage, a local cross between Pinot Noir and Cinsault. 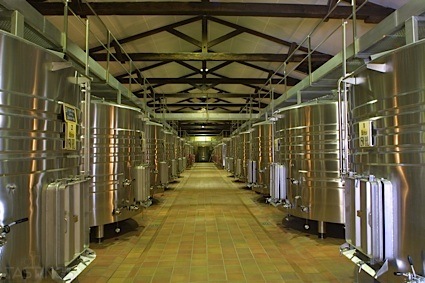 Most of these reds are medium-bodied and made for mid-term consumption (five to seven years), while a few examples of premium Bordeaux blends are made to age for a decade or more and are appropriately priced. Though thought of as distinctly New World, South Africa's wine industry is actually over 300 years old. With recent governmental changes, South Africa has left its long period of international isolation. Wine drinkers in the US are beginning to see more and more of the fabled "Cape" wines on the domestic market. These wines actually share more in common with Old World styles than with their New World counterparts. Produced in a cooler climate with a distinct maritime influence, South African wines are generally a couple of degrees lower in alcohol than those from Australia or California, and have higher levels of acidity with relatively firm structures. All in all, the national style shares much in common with that of France. Balance and moderation are the buzzwords, making these wines exceptionally friendly at the table. South African wines do have some unique signatures, however. Fans note a distinctive minerally flavor, present particularly in the reds, that we usually described as tar-like. This nuance can often be found in pinotage, a wine unique to the area. A cross between pinot noir and cinsault (an obscure grape from the south of France) pinotage is a lighter- to mid-weight red with lots of character. It is one of the few wines in the world that, when fully ripe, smells like blueberries! Blueberries and tar or not, South Africa produces a range of distinctive wines to tempt the adventurous. 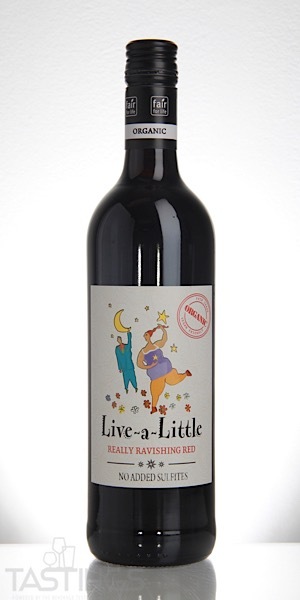 Live-a-Little NV Really Ravishing Red Blend, Western Cape rating was calculated by tastings.com to be 86 points out of 100 on 11/7/2018. Please note that MSRP may have changed since the date of our review.